… then we have a treat for you! powerjobs, our extension for the Vault Jobprocessor, is out now, not only with a more polished appearance, but also with a ton of new helpful features. 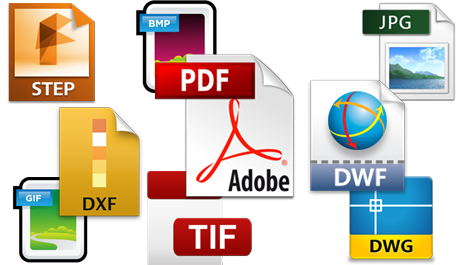 You already know that powerJobs helps you create PDF’s out of your Vault-files. What you didn’t know is that now you have the maximum control over the appearance of it. You define whether it’s gonna be in color or black & white, landscape or portrait format, and even where it will be stored under a filename that you choose. If you like, you can also add fancy stuff like a “Released”-stamp or a watermark. The interface of powerJobs has now incorporated the Jobprocessor. It’s also extended by a log window that keeps you updated on what is currently happening. Remember the situations in which your job wasn’t executed and you had no clue what went wrong? <– Never gonna happen again! Who says it has to be a PDF? Why not export a TIF this time? Or a DWF? 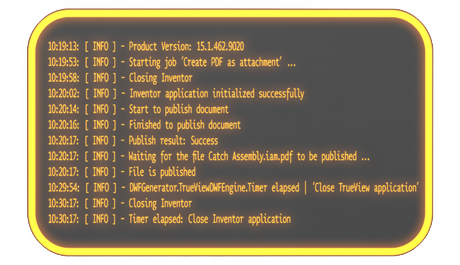 powerJobs is now able to export not only into PDF, and DWG formats, but also into STEP, DXF, GIF, BMP, TIF, JPG, and DWF! Here’ s another goody: So far, the preferred application for generating PDF’s from AutoCAD was DWGTrueView. However, in case you like to create more sophisticated jobs around DWG a full AutoCAD is needed. Now you can define in your job whether full AutoCAD or DWGTrueView shall be used. This gives you tons of new opportunities around DWG jobs. The best part of powerJobs is of course its ability to communicate with Vault via PowerShell commandlets. The best part about PowerShell commandlets is, that they’re so easy to write. powerJobs already came with some samples of commandlets, that we massively extended in the new version. You can find the complete list of commandlets here on our Wiki. So that’s all for powerJobs’ new features, I hope you find it helpful. Make sure to download the newest version that we put up today, and enjoy! This entry was posted in powerJobs, PowerShell. Bookmark the permalink.